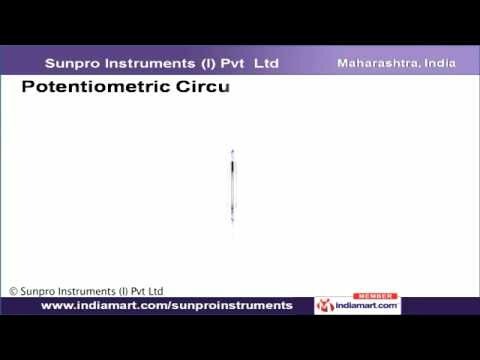 Sunpro Instruments (India) Private Limited Welcome to Sunpro Instruments Private Limited, manufacturer and supplier of wide range of Industrial and Agricultural Electronic Process Control and Measuring Instruments.Established in 2005, our company is an ISO 9001:2008 certified. We are equipped with modern logistics and advanced technology in order to deal with wide clientele across the world. We use quality materials to manufacture flawless and technically qualified products. We have got qualified professionals, take business queries online and ensure on time delivery of products at competitive prices. Our product range includes Potentiometric Circular and strip Chart Recorder, Low Pressure Sensor Transmitter, Air Velocity Sensor Transmitter and many others.Our Potentiometric Circular Chart Recorders are widely acclaimed by clients.Our Potentiometric Strip Chart Recorders are available with rich specifications.We are offering Micro Processor Circular Chart Recorder of high quality.Low Pressure Sensor Transmitters are available with rich technical specifications like fire proofing and cable grip etc.